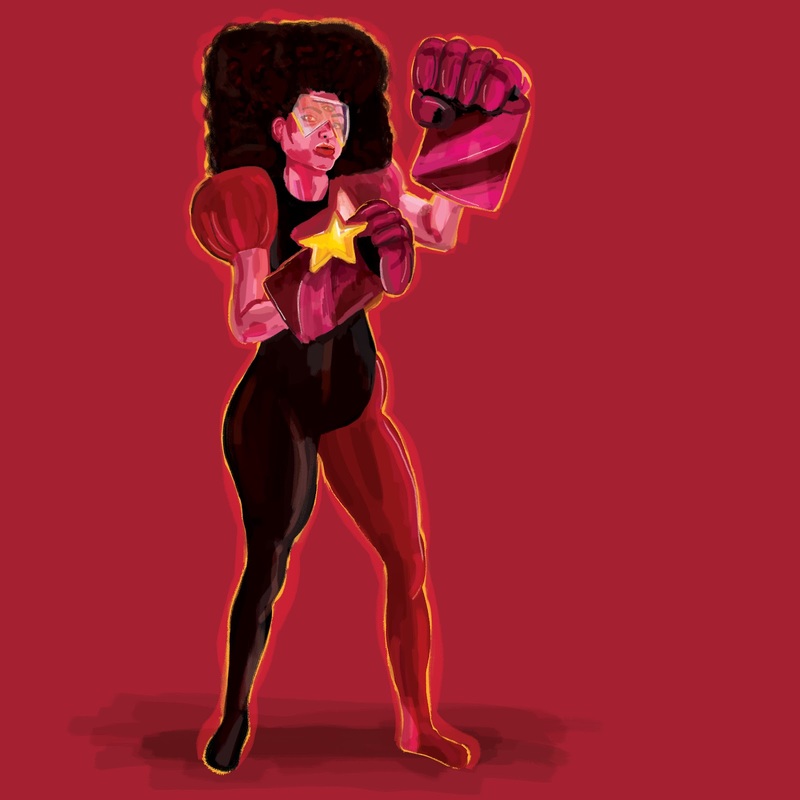 naomese - naomi bardoff's art blog: "We... are the Crystal Gems!" "We... are the Crystal Gems!" 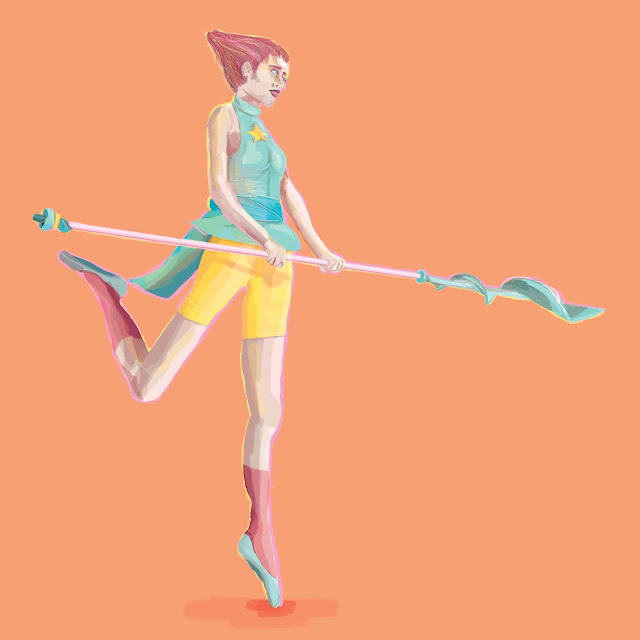 These are part of a series I did of portraits of characters from Steven Universe, one of my favorite TV shows! It was a lot of fun drawing so many different body types. All were drawn digitally in Photoshop with my Monoprice tablet and gouache brushes by Kyle Brush. These are awesome! 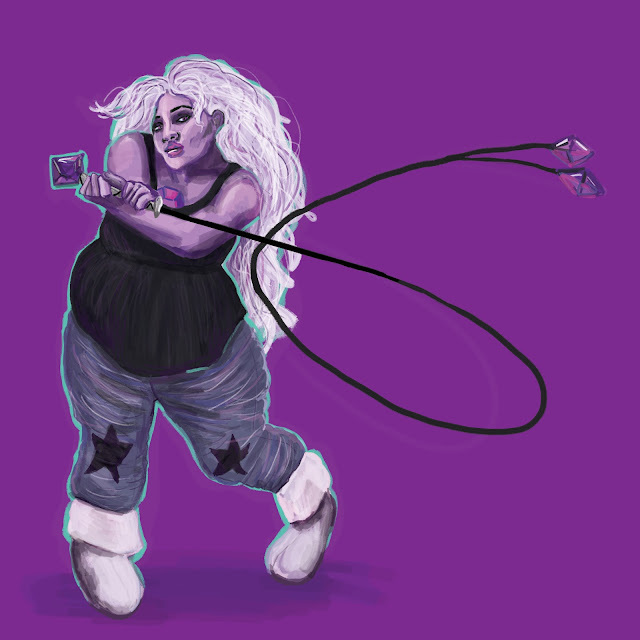 Amethyst is probably my faborite one. I can't wait for Jinkx Monsoon to join the cast.